Hair Deets: Wash & Go with As I Am Leave-In Conditioner & Miss Jessie's Jelly Soft Curls. With 2015 in full swing, many ladies are putting their best foot forward, and focusing on improving the health of their hair. I'm right there with ya. After tons of experimentation with hair color, the Max Hydration Method and more, I'm devoting 2015 to making my hair as healthy as possible. But what does healthy natural hair look like? You may have in mind smooth, silky, well-behaved curls that bounce and flow like a dream. Get that image out of your head. 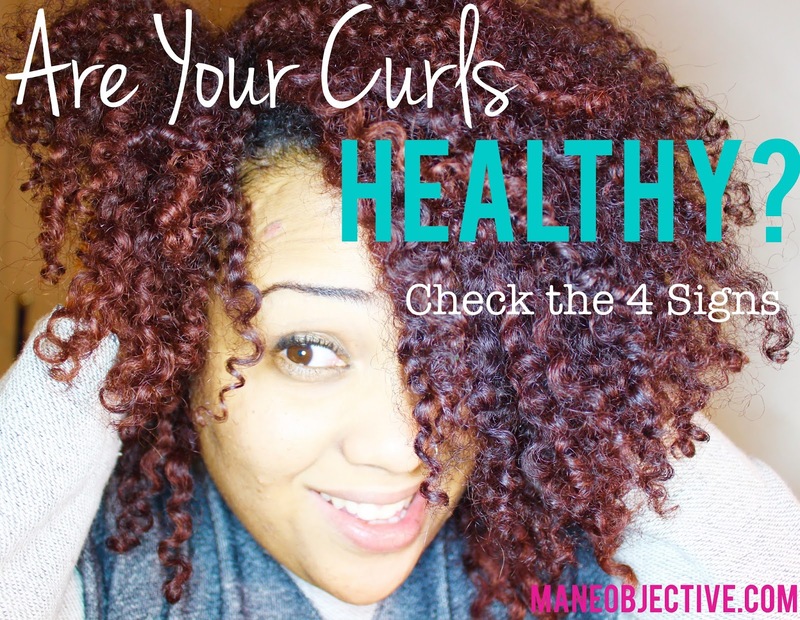 In truth, there are 4 keys or signs of healthy hair that have absolutely nothing to do with how well-mannered or frizz-free your curls are. Check out the 4 signs and what they mean below -- your hair may be in better shape than you think! Shrinkage tends to be the thorn in many a naturalista's side. Shrinkage causes tangling. Shrinkage hides our true length. Shrinkage won't let us be great. But before you go on a tirade against shrinkage, know this: shrinkage is one of the best indicators of textured hair health. Although all of our hair will shrink at varying percentages (sometimes even on the same head, like me), the shrinkage, or spring factor means that the structure and integrity of your hair is still in tact. You may dislike your shrinkage, but consider the alternative -- limp stringy curls that have no character. Shrinkage doesn't sound so bad now, huh? Get Your Shrink On: Hydrated hair shrinks. Step up your shrinkage factor by ensuring proper hydration via steaming (I love the Q-Redew), regular deep conditioning (these are some of my favorite deep conditioners), and sealing moisture into the hair. Ready to read about the other 3 signs of healthy hair? Head on over to NaturallyCurly.com! OT : by any chance do you know which Target (Red Circle Boutique) in L.A. will have TGIN ? On their website it states "in stock online not sold in stores". Once it's available in stores, type your zip code in the BLUE find in store search block. short & sweet has the right idea! If I get any more inside info I will definitely share!